Technology has changed the way adolescents bully one another. What once happened during an eight-hour school day now happens online within the home environment. This form of bullying is inescapable and occurs at all hours of the day and night. For victims, the consequences of being targeted by this behavior can range from lowered academic achievement to mental health issues such as anxiety, depression and even suicide. When assisting victims of cyberbullying, I find a combination of principles from Rudolf Dreikurs’ mistaken goals, Betty Lou Bettner and Amy Lew’s Crucial C’s, Alfred Adler’s social interest and Steve de Shazer’s solution-focused brief therapy to be helpful. Dreikurs contended that children mistakenly seek out attention, power, revenge and inadequacy in lieu of healthy personal goals. 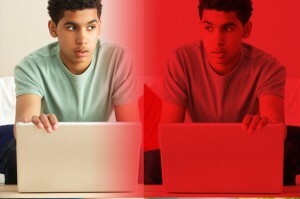 This might explain some of the behavior associated with cyberbullying. For example, adolescents might bully one another to gain attention or power from others. The victim may then choose to perpetuate the behavior by seeking revenge or choosing a stance of inadequacy and hopelessness. Fortunately, Bettner and Lew describe four Crucial C’s that I find helpful to positively displace a youth’s mistaken goals. These Crucial C’s consist of feeling connected, feeling courageous, feeling capable and feeling that you count (or are important). In my opinion, shifting the focus from Dreikurs’ mistaken goals of revenge, power, attention and inadequacy to those of courage, capability, connectedness and importance may change the outcome of cyberbullying from victimization to empowerment. This change of focus could alter the cycle of cyberbullying so that victims do not choose revenge and therefore avoid becoming perpetrators themselves. Additionally, victims become focused on improving internal characteristics and, in turn, enhance mental health. Adler’s social interest may be used to further reinforce these Crucial C’s. Victimized youth who become involved in helping others demonstrate courage as part of initial engagement and experience connectedness as a result of their community involvement. Furthermore, I believe they experience a sense of counting or importance as a result of their contributions, as well as self-evidenced proof of their capabilities. 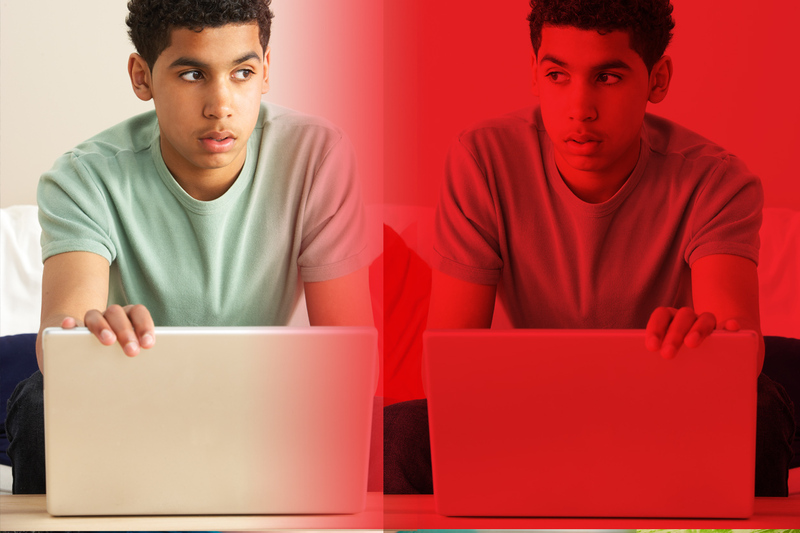 As youth victimized by cyberbullying experience these Crucial C’s firsthand, they become empowered and feel more in control of their feelings and reactions. Self-efficacy and self-esteem begin to replace anxiety, depression and hopelessness. The theoretical principles mentioned above become even more productive when combined with de Shazer’s solution-focused brief therapy techniques to assist victims of cyberbullying. Complimenting youth when they avoid mistaken goals and demonstrate positive attributes and behaviors builds a foundation on which courage can thrive. Instead of exhibiting retaliatory behaviors, the victim of cyberbullying may exhibit developmentally appropriate coping skills. According to de Shazer, complimenting involves pointing out a person’s strengths so that self-efficacy is instilled and recognized. Exception questions allow victimized youth to uncover times when they responded to difficult times without negative behaviors or emotions. This encourages a focus on what works rather than replicating self-defeating mistaken goals and behaviors. Solution-focused brief therapy feedback allows the counselor to reinforce the client’s strengths at the end of a session, connect ideas by agreeing with the client’s stance and suggest a task for the client to undertake. In short, a synthesis of Dreikurs’ mistaken goals, Bettner and Lew’s Crucial C’s and Adler’s social interest with de Shazer’s solution-focused brief therapy techniques may empower victims of cyberbullying and improve their mental health. The case of “Elizabeth” that follows illustrates how I specifically combine these elements within a counseling session. Elizabeth is a 14-year-old high school freshman. Her teacher referred her to the school counselor because her grades are falling and she is skipping classes. Not surprisingly, Elizabeth reveals that she is spending most of her nonschool time communicating with others through social media. It doesn’t take long for the counselor to discover that another girl is cyberbullying Elizabeth. Elizabeth indicates that her self-esteem has fallen, and she thinks about the social fallout constantly. Because Elizabeth’s self-esteem and grades have declined, she needs to believe that she is capable of succeeding and that she has value (or that she counts). At the same time, she requires the courage to overcome feelings of inadequacy, thoughts of revenge and a desire for power and attention. The connectedness she already possesses with friends and family may help Elizabeth overcome some of the negative feelings associated with being cyberbullied. The initial use of solution-focused brief therapy may be effective in building rapport with Elizabeth and changing the overall tone of the session from a focus on the negative to a more positive position. Elizabeth needs to be genuinely complimented so that she minimizes feelings of inadequacy and refocuses on her personal strengths. Asking Elizabeth exception questions helps her to focus on instances when she has been successful. When followed by solution-focused complimenting, this also helps her to reframe the situation and begin to feel empowered. Next, Elizabeth must identify and express the emotions she feels at home, at school and online. To accomplish this, I ask Elizabeth to describe how she feels in each setting and to associate a color with each feeling. Next, I have her draw a line using a different colored marker for each emotion on three separate pages (school, home and online). Each colored mark is labeled and discussed as a representation of an emotion she feels within that particular setting. I then use solution-focused brief therapy complimenting and exception questioning techniques to demonstrate ways in which Elizabeth is positively handling these emotions. Pointing out times when Elizabeth has handled similar emotions adequately ensures a focus on her strengths and a repetition of the Crucial C’s as demonstrated in her response behaviors. Finally, I ask Elizabeth to generate short-term and long-term coping mechanisms. Exception questions help Elizabeth recognize and generate this list of ways she has previously coped in similar situations. These strategies may include creating art, journaling, playing video games, playing with pets, exercising or participating in sports, playing or listening to music, doing guided imagery, visiting with friends, talking to parents and numerous other ideas. To strengthen her long-term coping strategies, I ask Elizabeth to find a social interest activity. Suggested activities include mentoring younger children affected by cyberbullying, creating safety tips for children who surf the Internet, reading empowerment stories to younger children, reading to or visiting elderly adults, volunteering to work in community agencies and countless other possibilities. I then ask Elizabeth to contemplate these ideas, generate a list of both short-term and long-term coping strategies to use during the next week and return to the next session with social interest ideas. At the end of the session, I incorporate de Shazer’s solution-focused brief therapy feedback technique. I compliment Elizabeth once again so her strengths are evident to her as she leaves the session. For example, I might say, “I recognize the courage it took to share all of this with me this week. I think that shows you have strengths to help you get through this.” Then I might add, “I agree that you need to feel better about yourself. Over the next week, I suggest using the short- and long-term coping strategies you listed as well as finding a project to help others while helping yourself.” To conclude, I ask Elizabeth to report on her success at the next session. Subsequent sessions focus on self-reported improvement and implementing social interest activities. There is also continued focus on implementing the Crucial C’s in lieu of mistaken goals. Solution-focused brief therapy techniques, including complimenting, exception questions and feedback, are used throughout all sessions to continue reinforcing Elizabeth’s strengths. Finally, I incorporate Internet and online safety and social media trainings for Elizabeth and educate her parents on what Elizabeth is experiencing all day, every day online. Parents are included in future sessions for several reasons. First, upon hearing about cyberbullying, many parents fear the Internet and insist that their children avoid all technology. Although this may be an effective short-term solution, I do not believe it helps long term. Eventually, youth find themselves required or tempted to use the Internet for employment, homework or socialization. As a result, I teach Internet and online safety skills both to parents and youth. These safety tips provide education about privacy and restraint when posting online, decrease fear and allow youth to continue using the Internet provided that their parents are involved in Internet communications. Youth and parents must understand the importance of keeping specific personal information private as it relates to the long-term and worldwide reach of the Internet. Once parents understand how to use social media appropriately, they have an opportunity to become role models for the proper use of technology. Learning strategies to avoid harm while using the Internet may be an important mechanism for personal empowerment for both victims of cyberbullying and their parents. Another reason counselors should involve parents is related to the mistaken goals discussed earlier. Initially, parents often respond to their child’s victimization with inappropriate feelings of attention, revenge, inadequacy and power. These feelings could result in parental behaviors that perpetuate bullying rather than improving the situation. For example, some parents initially respond to knowledge that their child is being cyberbullied with feelings of revenge. These parents may confront the bully or the bully’s parents and unknowingly increase, rather than decrease, their child’s victimization. I teach parents to first empathize and communicate with their child. It is important that any parental response to bullying first be discussed with the child. If nurtured, the bond between parent and child may become the greatest protective element for youth who have been cyberbullied. As Elizabeth experiences the Crucial C’s firsthand through social interest, feels secure in the bond with her parents and focuses on her strengths, she begins to feel empowered rather than victimized. Internet safety tips that illustrate the importance of privacy and restraint when posting online further demonstrate to Elizabeth that she possesses courage and has control over life events. Eventually, Elizabeth is able to focus on her own value rather than on the unhealthy stigma perpetuated by others. Janet Froeschle Hicks is an associate professor of counselor education and chair of the Educational Psychology & Leadership Department at Texas Tech University. 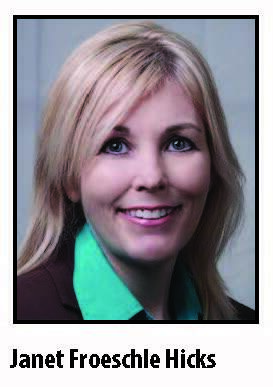 She is both a licensed professional counselor and a certified school counselor in Texas. 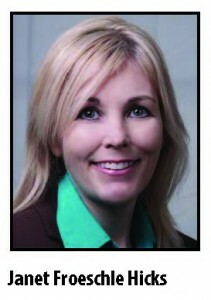 Contact her at janet.froeschle@ttu.edu. Charles R. Crews, associate professor of counselor education at Texas Tech University, also contributed to this article.